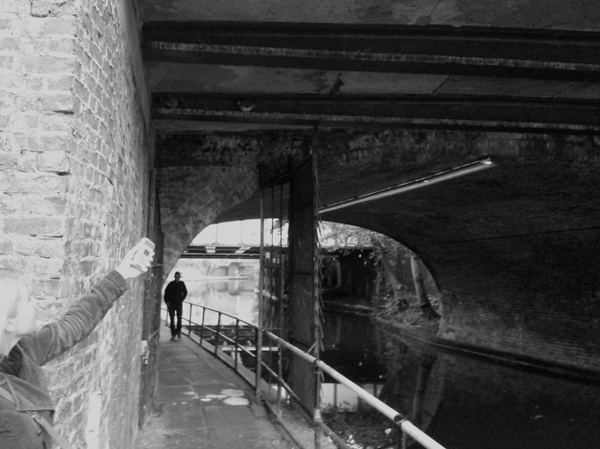 over a period of 50 days, field recordings were collected at locations along locations of the regents canal from primrose hill to kings cross. towpath users were invited to help in the creation of the work by contributing their own sound recordings via on mobile phone or by email. 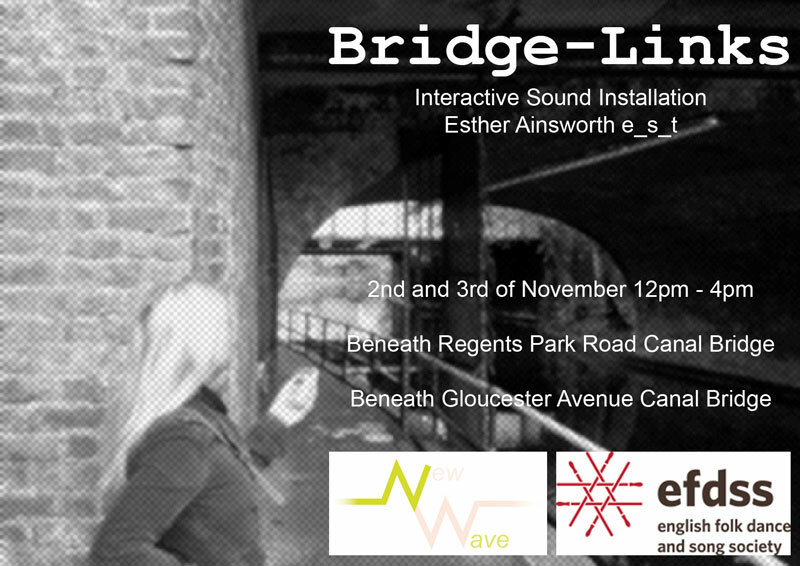 the recordings were used to create a sound composition to be installed beneath the canal bridges of the regents park canal. the idea was to use the bridges and water to reflect the sound and create an acoustic chamber of sound for those who stopped to listen. 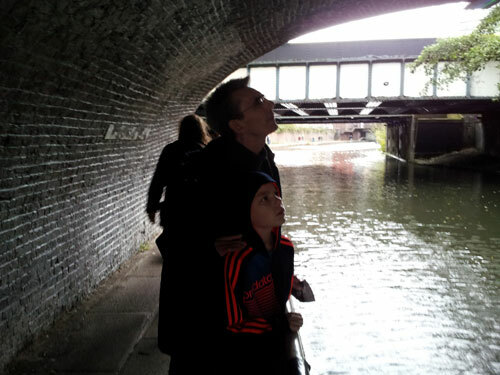 over 60 sound clips were collected in total, which were then reworked using a series of perameters and loops set in generative software to create gestures, patterns and rhythms, inspired by elements of traditional canal song. a period of research of histories of canal song was undertaken at the vaughan williams memorial library at cecil sharp house. 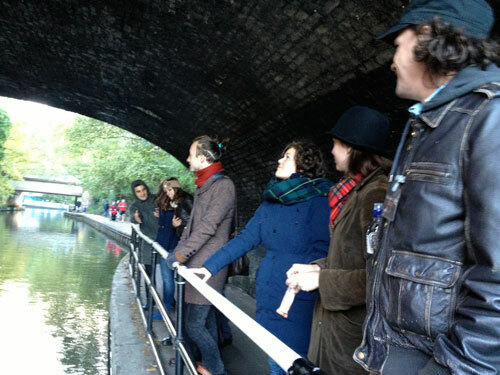 the project considered the canal and the bridges along it as both a physical and virtual network between the people and places of the borough of camden. following the festival, the culmination of work was exhibited twice in cecil sharp house as part of the launch of the new foyer and lift utilitiy for people to experience as they moved around the building. more information about this project is available on request via the artist.